There’s something viscerally appealing about a dynamic, creative community, regardless of whether it is onsite or online. If we walk on a city street, through a public plaza or park, or in a library or museum where people are engaged with each other, we often feel the urge to be part of what it offers. If we participate in and contribute to a civil, active, well-facilitated, and creative online community of learning, community of practice, or community of interest, we frequently feel well-rewarded and stimulated by the positive interactions we have. Conversely, if we stumble upon or through communities that feel uninviting or in any way unsafe, we’re not going to remain there very long. 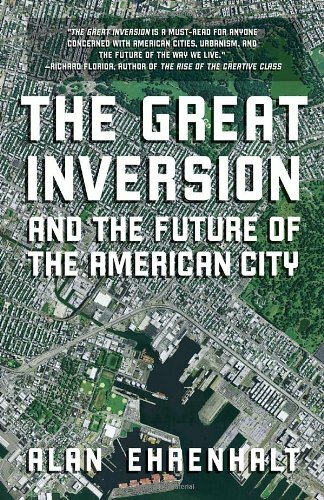 Reading Alan Ehrenhalt’s book The Great Inversion and the Future of the American City tells us plenty about the state of some of our most interesting physical communities; it also, I believe, offers us opportunities to draw productive parallels about what makes online communities attractive. The settings for his onsite explorations include urban and suburban neighborhoods in or near Chicago, Cleveland, Gwinnett County (Georgia), Houston, Philadelphia, Phoenix, and several other American cities, and he also draws upon several European cities (including the Paris of George-Eugène Haussmann’s time and Vienna as the Ringstrasse was opening in the latter half of the 19th century). He reminds us that a great European street served—and continues to serve—as “a center of activity, much more than of motion, a center of commerce and sociability, of nonstop human drama, of endless surprises and stimulation….To talk about a crowded city thoroughfare of the nineteenth century as ‘mixed use’ urbanism in the modern sense is to miss the point altogether. This was essentially ‘all use’ urbanism” (p. 23) He then explores various American cities to document ebbs and flows of population into and out of areas in an attempt to help us understand what makes contemporary cities appealing or lacking in appeal. As we share Ehrenhalt’s journey through our physical sites, we consider the impact immigrants, the availability of public transportation, the presence of street life, street furniture, parks, residents’ commitments (or lack of commitment) to their communities, and even levels of housing available in downtown areas have on making or breaking communities. And that’s where I believe we can draw parallels between what we see in The Great Inversion and what we see in equally dynamic or challenged online communities. The diverse points of view that can result from interactions between immigrants and well-established residents of a community also provide the advantages and challenges of welcoming various points of view in our online communities. The presence of engaging levels of onsite street life has its online equivalent in communities where friends and colleagues can drop into an online community with the assurance that their “neighbors” will be there to interact synchronously as well as asynchronously in rewarding and stimulating ways. The elements that contribute to a sense of safety and engagement in our onsite settings also have their online parallels: just as broken windows and large amounts of graffiti can quickly chase us away from onsite settings, the presence of spammers and haters in an online community can quickly inspire the departure of previously-engaged members of an online community. Street life in our physical settings is returning in various forms, Ehrenhalt contends, and I see—and benefit from—a parallel level of street life in the best of the online communities to which I’m drawn. Although Ehrenhalt’s own conclusion is that “The more that people are enabled by technology to communicate with one another while remaining physically solitary, the more they crave a physical form of social life to balance out all the electronics” (p. 236), I believe that an equally compelling interaction is occurring as those of us who are lucky enough to meet in dynamic onsite communities continue some of our interactions online. The result is that for those of us who comfortably move back and forth within our blended onsite-online communities, the opportunities to engage and benefit from interactions from dynamically diverse communities has never been better. This entry was posted on Monday, June 2nd, 2014 at 4:58 pm and is filed under Uncategorized. You can follow any responses to this entry through the RSS 2.0 feed. You can leave a response, or trackback from your own site.